On September 12th, 2012, at 2 p.m. the Valentino Braitenberg award will be presented to Moshe Abeles from the Bar Ilan University in Israel within the framework of the Bernstein Conference on Computational Neuroscience in Munich. Moshe Abeles research focuses on the functional circuits in the cerebral cortex. His books on this subject have profoundly influenced many neuroscientists. With his "Synfire Chain Theory", Abeles has shown for the first time a possible mechanism for the transmission of precisely timed activity in the cerebral cortex. His physiological findings and his models about the functional significance of temporal relations in brain activity have spurred intense discussions and provided impetus for a plethora of further experimental and theoretical studies. In addition to his research, Abeles has co-founded the Jerusalem Interdisciplinary Center for Neural Computation and served as founding director of the Gonda Multidisciplinary Brain Research Center at Bar Ilan University. The Braitenberg Award will be conferred on September 12th, 2012, within the framework of the Bernstein Conference on Computational Neuroscience in Munich at Munich’s university hospital Klinikum rechts der Isar. The award ceremony will take place at 2 p.m., subsequent to the conferral of this year's Bernstein Award. The awardee will give a lecture titled: "Binding activities among cortical areas”. 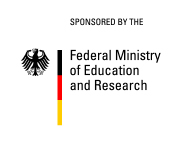 The award is supported by, the Bernstein Centers Freiburg and Munich, by the Förderverein für neurowissenschaftliche Forschung am Max-Planck-Institut für biologische Kybernetik and by scientific friends. Journalists are cordially invited to attend the award ceremony. Please kindly register until September 6th with Dr. Simone Cardoso de Oliveira (Bernstein Coordination Site, cardoso@bcos.uni-freiburg.de, Tel: 0761 - 203-9583). The award is named after Professor Valentino Braitenberg, eminent neuroscientist and one of the founding directors of the Max Planck Institute for Biological Cybernetics in Tübingen, Germany. Braitenberg’s research field was the fine structure of the brain and its operating principles. In particular, his work contributed significantly to the understanding of the structure and function of the cerebral and cerebellar cortex. He was a pioneer of the modern research field of computational neuroscience. His "vehicles" – autonomously steered vehicles that produce very complex behaviors on the basis is simple interconnections of sensors and motors – have become famous throughout the world. With his research approach, Valentino Braitenberg has significantly contributed to the development of biological cybernetics, which has also inspired robotics and artificial intelligence. The award recognizes outstanding researchers who have contributed significantly to the understanding of brain function and which have / will profoundly influence/d brain research. Special emphasis is on investigations of the microscopic properties of brain architecture and their functional implications. A group of scientific friends and family members has created the prize after the lamentable death of Braitenberg in September 2011. The prize committee is headed by Prof. Ad Aertsen (former coworker and long-standing scientific friend of Braitenberg’s). Further members are Prof. Nikos Logothetis (Braitenberg’s successor as Director at the MPI for Biological Cybernetics), Prof. Michael Frotscher (neuroanatomist and director of the Institute for Structural Neurobiology at the University Hospital Hamburg-Eppendorf), Prof. Almut Schüz (long-standing coworker of Braitenberg’s and scientist at the MPI for Biological Cybernetics), as well as Prof. Carla Braitenberg and Massimiliano Gulin (daughter and son-in-law of Braitenberg’s).